Dec 5 (AZINS) After the failure of Thugs of Hindostan, the majestic run of Rajinikanth and Akshay Kumar starrer 2.0 comes as a huge respite at the box office. While the film enjoyed a fantastic extended opening weekend, it continues to rule the ticket windows even in the week days. The Hindi version of S.Shankar directotial raked in a total of Rs 11.50 crore on day 6 of its release. 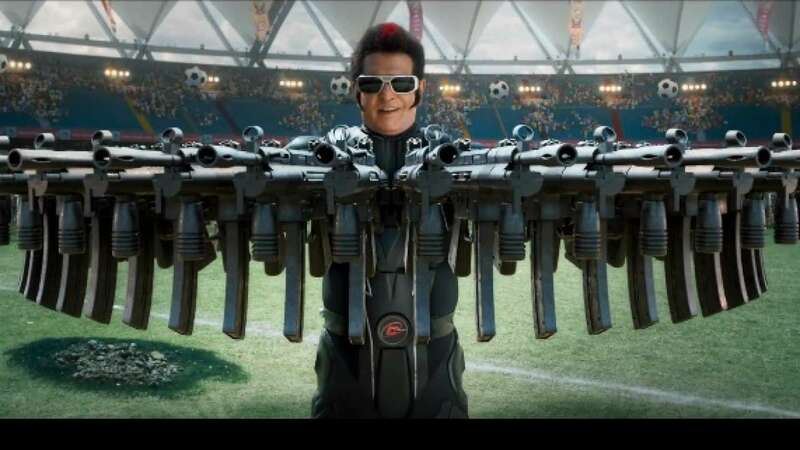 The total box office collection of 2.0 (Hindi) now stands at Rs 122.50 crore. The movie opened to mixed reviews from the critics but is currently riding pretty high on an extremely positive word of mouth. The special effects and CGI in 2.0 have been much appreciated and the climax of the film has also gathered quite a lot fo applause. Trade analyst Taran Adarsh took to his Twitter account to share the box office figures of the film. He wrote, "#2Point0 sets the BO on ... Double digits yet again on Day 6 [Tue]… The trending on weekdays is EXCELLENT... Thu 20.25 cr, Fri 18 cr, Sat 25 cr, Sun 34 cr, Mon 13.75 cr, Tue 11.50 cr. Total: ? 122.50 cr. India biz. Note: HINDI version." Meanwhile, the tremendous success of 2.0 has resulted in it finding a release in China as well. The film is all set to release in China with about 56, 000 screens. Watch this space for the latest updates.